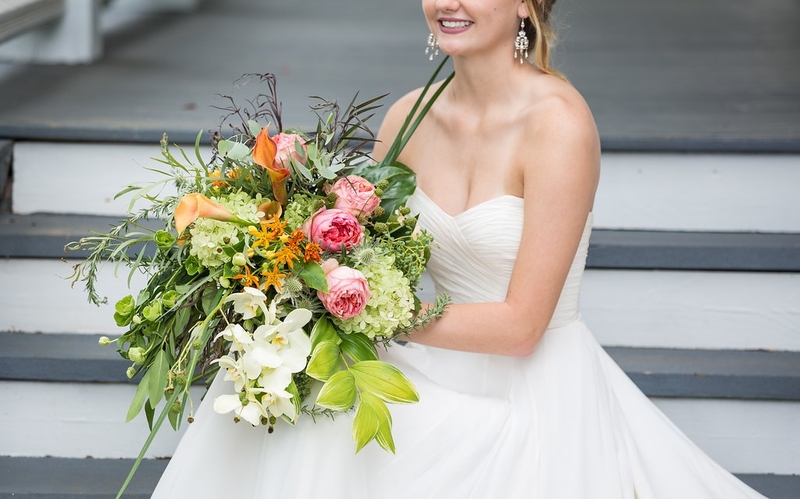 Carolyn Shepard Weddings and Event Design is Charlotte's most innovative and experienced floral and event design company. Our only focus is weddings and special events of all sizes, as well as corporate, restaurant, and salon floral decor. From large lavish galas, to small intimate gatherings, our goal is to create an atmosphere that reflects your personality, as well as a welcoming, elegant backdrop for entertaining your friends and family, within most any budget. From beginning to end, our approach to planning the flowers and decor for your event will reduce your stress level by walking you through each step in the process, in a caring and easy to understand way.We offer a fabulous array of in house rental linens for you to chose from, as well as the South's most extensive collection of decorative props, candelabras, chandeliers, and much more. When combined with hand selected flowers, inspired designs and our expert advice, will result in a seamless, beautiful event that is sure to exceed your expectations! And, we will hold your hand as much or as little as you want, throughout the whole planning process! If you think we are a good fit for your needs and style, call or email us to set up and appointment, and let's get started! Bring your photos, your Pinterest boards, or whatever inspires you. We will help you sort it all out, then put it all back together in a beautiful plan that works for you, AND stays within your budget. Thank you for your interest in us, and we hope to see you soon!